In a few days I will arrive in Elvas, Portugal. There, the teacher Helena and her pupils will give me a warm welcome. 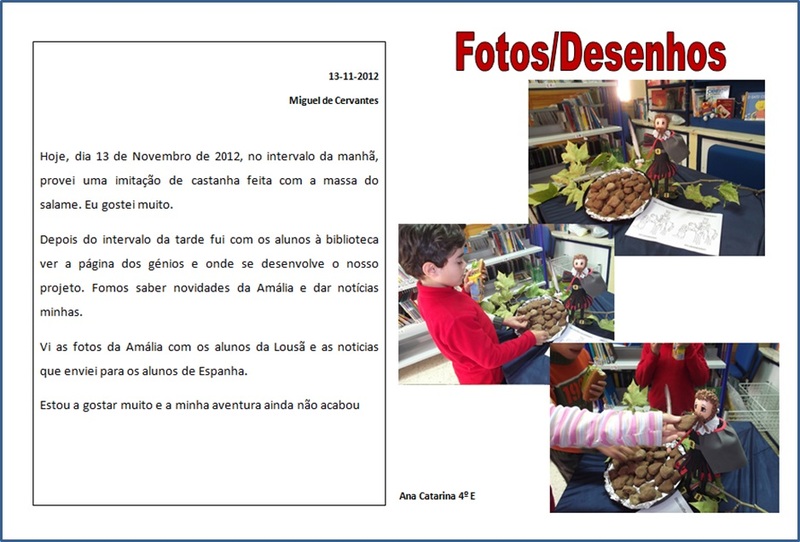 I have written a letter, with the help of my friends from el Toboso, to introduce myself. In a few days you, Helena and pupils, will recieve me and this letter with more drawings and pictures made and taken by pupils from el Toboso. I hope you like it. Love, Miguel de Cervantes Saavedra. The International Hot Air Balloon (FIBAQ) had its first edition in 1997. After 15 yaers marked by the strong sucess of this event, it is one of the biggest and most important festival in Europe. 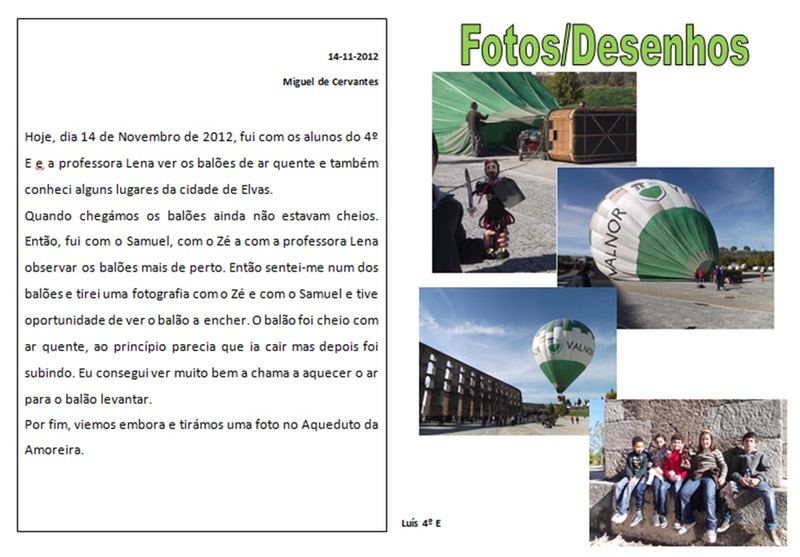 This year will be in Elvas. FIBAQ wants to promote ballooning in Portugal among sports lovers and the local community, generating an exchange of experience between pilots and the technical knowledge and innovation activity. 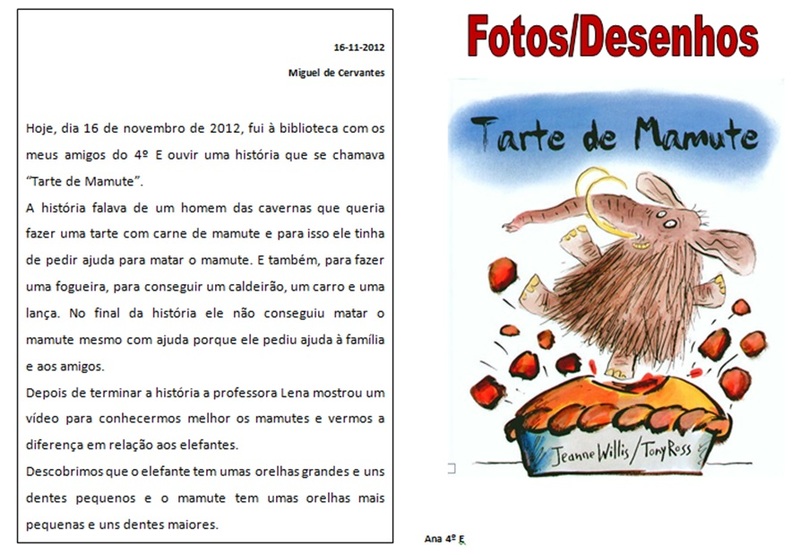 Por altura do São Martinho, fizemos castanhas com a massa do salame. 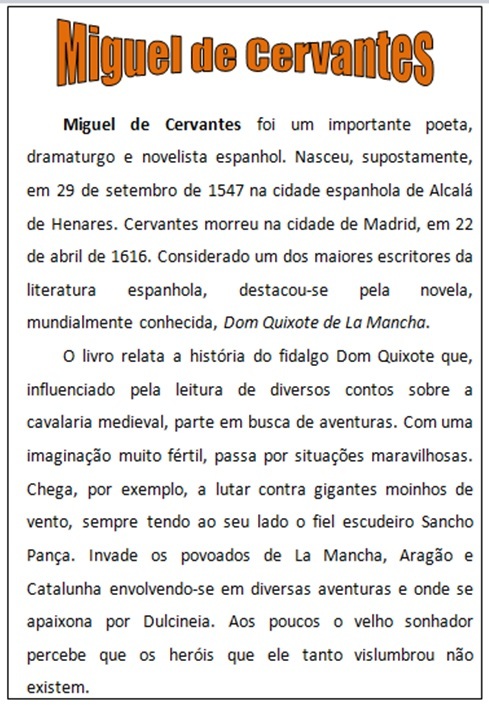 Miguel de Cervantes participou, nesta atividade, escreveu no seu diário e enviou notícias para todos os alunos envolvidos no projeto.